Oracle Corp is a multinational tech company that specializes in data management and cloud computing. While they remain one of the largest information technology companies in the U.S., their recent stock valuations have not been so positive. Shares of Oracle fell over 15% in 2015, due to mediocre earnings. However, recent developments might make them a great investment in 2016. If you are an investor looking for tech sector investment opportunities, consider buying Oracle stocks. Here are a few reasons to invest in Oracle Corp.
Oracle currently trades at 17 times earnings. This is much lower than the industry average of 32. It is also lower than SAP’s P/E of 29. This is significant because SAP is one of their chief competitors. Oracle’s earnings are expected to grow 8% annually. Given its low PEG ratio of 1.7, Oracle stocks are currently at a great valuation. While a 1.7 PEG ratio is not exactly cheap, it is considerably better than Oracle’s competition. Cheap stock value is one of the main reasons to invest in Oracle Corp.
One reason to consider investing in Oracle is their current one year return stats that are much more enticing than other tech IPOs. Oracle posted returns of 17.84% last year. Needless to say, this is a great figure to be looking at. This is especially true for the Oracle corp, who has promised to ramp up cloud solutions and the marketing push behind them. If you want to make a short term investment, Oracle’s one year returns hint that this company may be a great option to consider. Oracle has been shifting away from its on-premise database software to focus on its cloud platforms. Similar to Intuit stock, this has led to tremendous growth. Their cloud service revenue increased 26% annually, resulting in $649 million total. The main problem is that their increase in cloud revenue has not been able to offset their losses in on-premise database sales. Fortunately, Oracle plans to continue focusing on cloud software. Their SaaS and PaaS software revenue grew 37% annually to $484 million. This growth is expected to increase by 8% each year. Strengthening cloud revenue is another key reason to invest in Oracle Corp.
Oracle has struggled in hardware sales due to rough competition against IBM. Consumers prefer IBM’s processors due to their “OpenPower” strategy, which outsources server designs to third-parties. However, Oracle is about to initiate a powerful countermeasure. The corporation recently announced a partnership with Intel. Their plan is to co-produce Oracle-Intel servers that combine hardware from both companies. Oracle has made it clear to consumers that their new server is faster and considerably cheaper than IBM’s. If this maneuver pans out, Oracle Corp could be set for enormous growth in the near future. This is a great reason to invest in them at this time. Oracle recently acquired AddThis, in order to expedite the business’ cloud growth. AddThis is a social sharing platform that provides content recommendations, personalized marketing tools and analytics services. 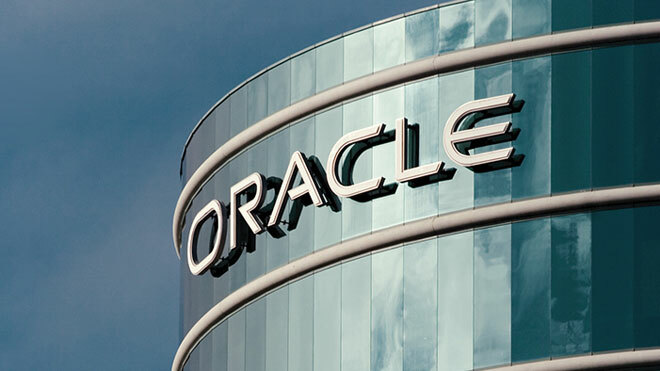 This acquisition, which is meant to bolster Oracle’s own cloud software, should help to increase revenue, according to top venture capital firms. It complements their previous acquisitions of Datalogix and BluKai, which are companies that provide similar tech features. Oracle has $17.4 billion in liquid capital and $35 billion marketable securities, so they are primed for further acquisitions down the road. Future company growth is a chief reason to invest in Oracle Corp.
Oracle Corp has a lot set for its future. The business is expected to increase cloud software revenue by strengthening cloud-based technology. It is also planning to unveil a faster, cheaper server with help from Intel. This partnership should be crucial in overcoming IBM’s market dominance. Oracle’s continued growth will help to offset the losses made in recent years. These are just a few reasons why you should consider investing in Oracle Corp. If you are looking to invest, conduct further research before making your decision.